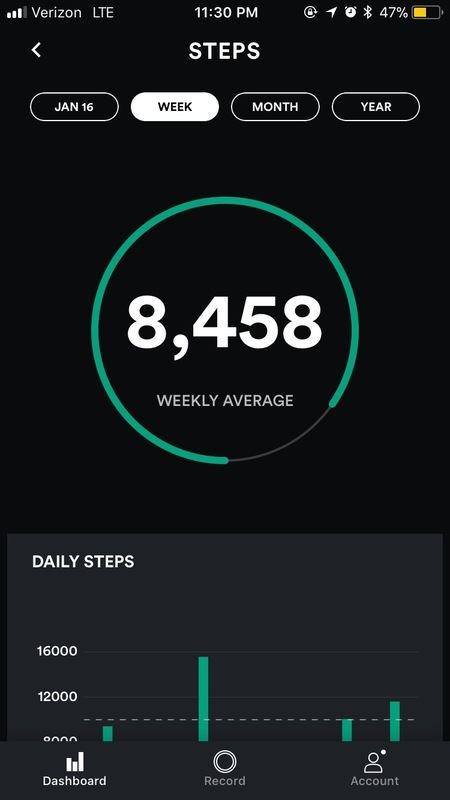 Your Biostrap dashboard shows a summary of Steps walked on the given day, a great data point to keep track of! 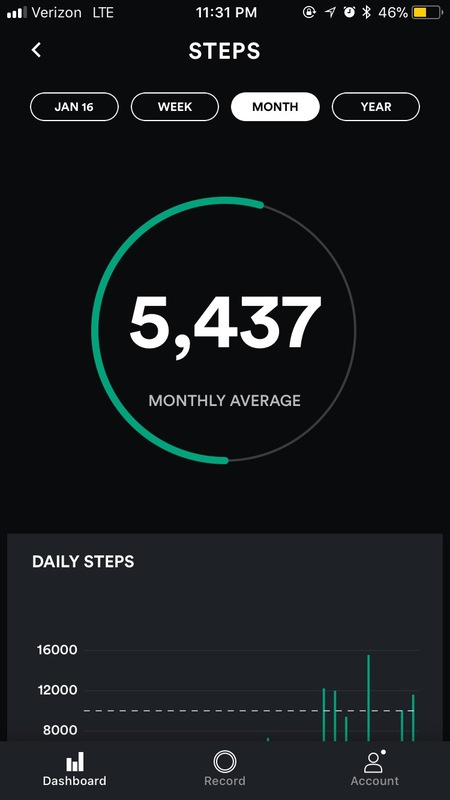 Click anywhere on the “Steps” tile on the dashboard to view Steps Detail Page for that specific day, as shown below. 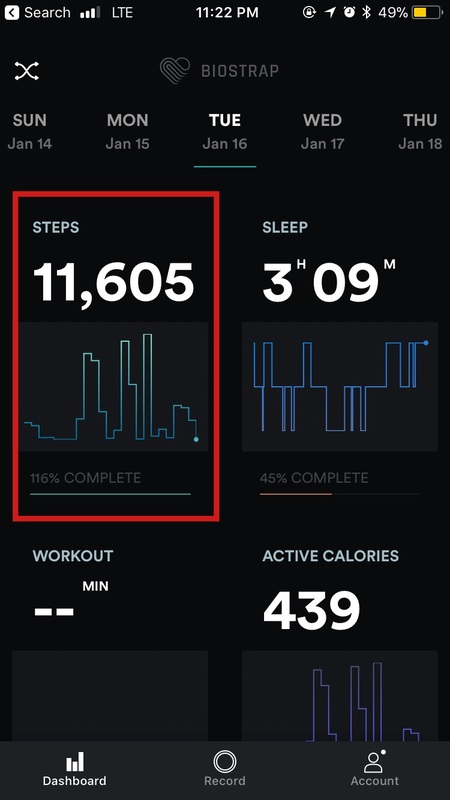 The horizontal bar on the chart above indicates number of steps walked in any given hour on that day. 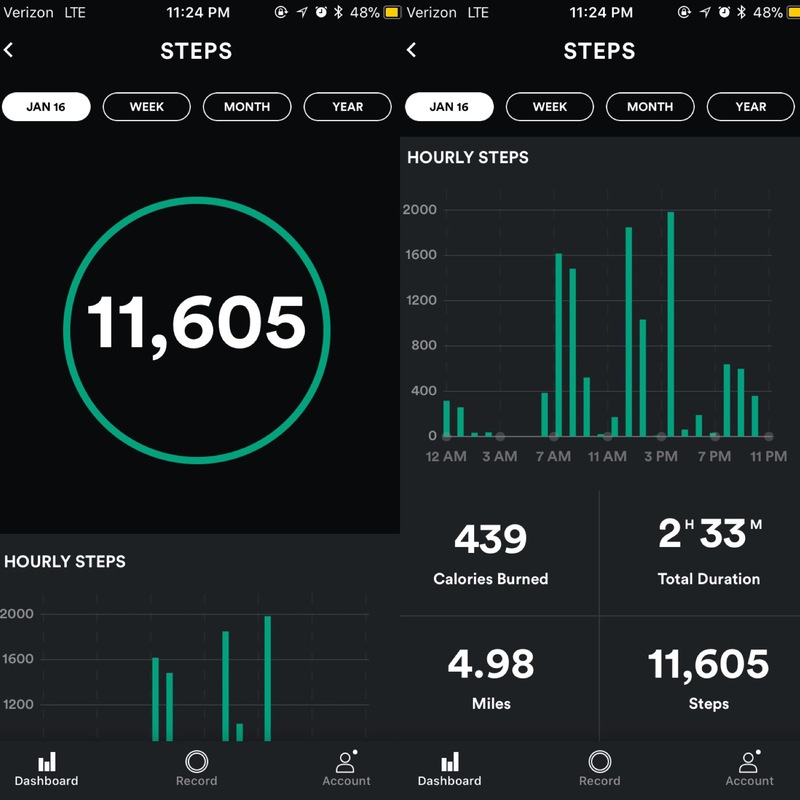 You can click on Week to view a “Steps Summary” for previous 7 days, as shown below. You can click on Month to view a “Steps Summary” for previous 30 days, as shown below.